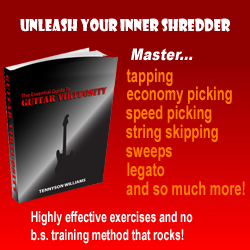 In this lesson we will be covering sweep picking, which is a technique used a lot in shred playing, also known as economy picking. Basically you are playing downstrokes and upstrokes on two or more strings consecutively, raking the pick across the strings – imagine a violin bow brushing across the strings. The notes cannot run together like a chord and it is good to start with a couple of strings at a time, and then try three strings, then four, five and all six strings. For example, start with a two string idea like this Am arpeggio (Figure A). Master this first, then move to three strings, etc. It is important to practice this slow and even, use a metronome. Many players first learning this technique sometimes rush and leave notes out; take your time and be patient and it will pay off, believe me. OK, Let me show you some examples. Example 1 shows a three string arpeggio run in the key of E minor, moving up the chord scale (Em, F# dim, G, Am, Bm, C, D). The right hand picking pattern is the same throughout the entire run – down pick the first note, then pull off, down pick the second string, and then up pick the last three notes consecutively. You must lift each finger off every note after you pluck them. Example 2 is a four string pattern based off the E minor pentatonic scale (E, G, A, B, D) following the five main scale patterns. The right hand uses the same pattern all the way through – four down strokes then three upstrokes. Be sure to follow the fingerings playing this one; start slowly and then build up speed. Example 3 is a five and six string arpeggio pattern in G minor using four Gm arpeggios (G, Bb, D). They are linked together across the whole neck using sweep picking with hammer-ons and pull-offs. This one covers a lot of fretboard territory; make sure you follow the right and left hand symbols on the notation and practice playing very clean, without skipping notes. Example 4 is a line constructed with four extended arpeggios. The first one is C 6/9 (C, E, G, A, D), then Bm11 (B, D, F#, A, C#, E). Move the same shape down two frets to Am11 (A, C, E, G, B, D) and finally F 6/7 (F, A, C, D, E). 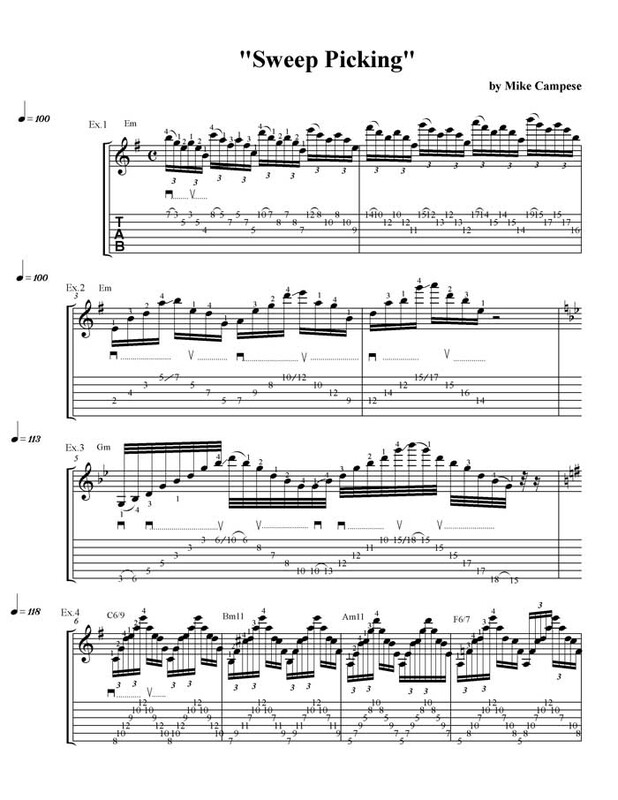 The first three notes of each arpeggio are alternate picked; for the rest I use sweep picking. Be sure to follow the proper fingerings, start slowly and then build speed. To play the audio examples, you’ll need a player capable of playing .m4a files. 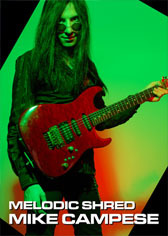 Mike has just released a new DVD, more information can be found in the Shredaholic news article on our industry section! 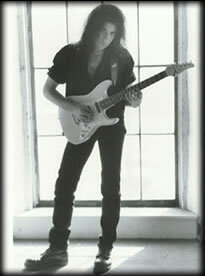 I dont see anything listed for Mike Campese’s Sweep Picking Exercises I dont know if its having problems or its just me. Just let you guys know. thanks Colby, its odd as the content is there when I go to edit the lesson but it doesnt seem to be showing up. will try fix it asap! edit: found the problem, article is now back up!